Volved.org was developed as a search engine wrapper that would allow users to stay in touch with their favorite cause while also raising revenue for it. You set your browser’s default search engine to Volved. Then when you search, you are transferred to the Volved site which presents results, cause news and ads. Unfortunately Volved’s access to Google AdWords was suspended without explanation. We eventually had to give up on the project. This video gives a sense of what the whole thing was about. Augmented Reality for the Homeless? Augmented reality does not seem, at first thought, to be an appropriate technology for helping the poor. Considering though that over half of homeless people have a mobile phone already we felt the need to stay ahead of the adoption curve. So we developed the Beehive Local layer on Layar. It helps social service providers in the field to locate nearby emergency food, shelter and medical help. In use, you select the type of service and range, then pan the device around your surroundings. Icons appear in the direction of nearby services. Layar provides an augmented reality application within which you can make various data sets available. One Economy already had a large database of social services so we tapped into that. While perhaps a little impractical for now, it demos great and maybe will spark other ideas too. ViaTraining, now part of General Physics, creates enterprise learning management systems. Their original system was based in LAMP and they had a contract with Microsoft who, not surprisingly, preferred that ASP.NET and SQL Server be used. I helped with the port to .NET technology and globalized the interface. 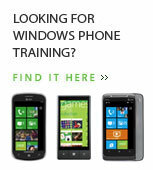 Windows Mobile Training was in use for about seven years and typically had about 10k users in 13 languages at retailers like Best Buy. The system managed their training progress and dispensed incentive rewards. ATT needed to integrate several systems to allow third party verification of when customers switched carriers for long distance. It was necessary to build interfaces between sales agencies and the verifier company via TCP/IP and 3780 protocols. 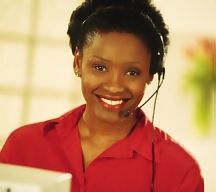 We also built a streaming server and web site for selecting and streaming call recordings when there was a dispute. This was done with ASP and SQL.